TOMEK and other ...THINGS!!! 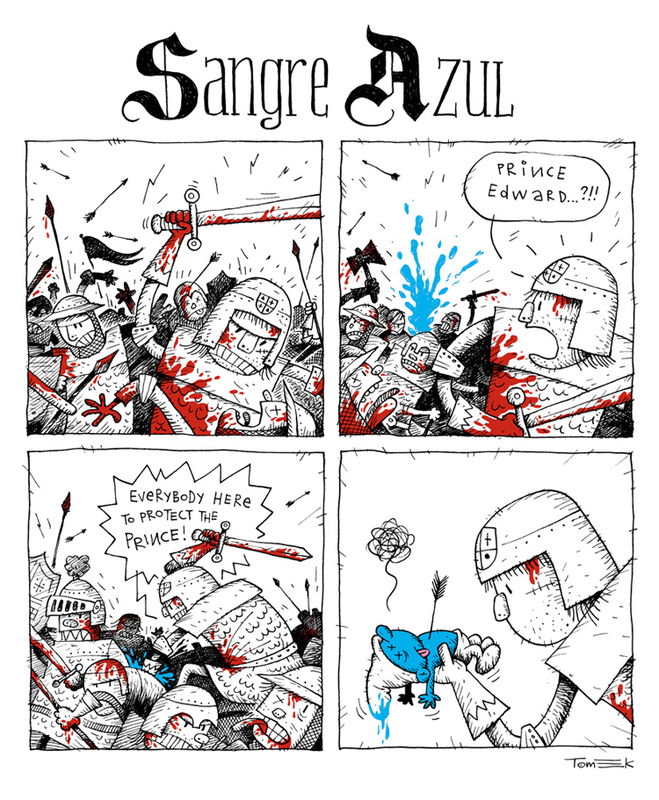 : #TVCC strip "SANGRE AZUL"
This is a four frame strip I did for #TVCC (The Very Closed Circle) blog. Fooling Around The SKIATHOS Island! KOULOURI #2 finally in ...SEPTEMBER.